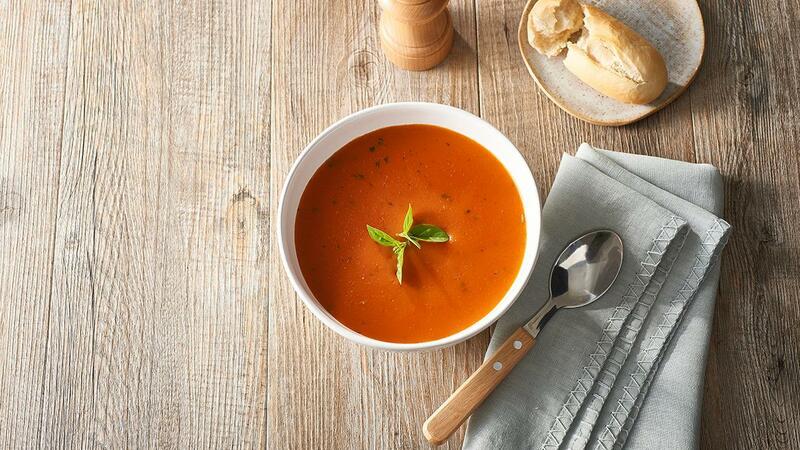 A classical soup with the zesty addition of rich tomato puree and fresh basil. Heat oil in a large saucepan, add onion and cook until softened. Stir in water, CONTINENTAL Professional Gluten Free Tomato Soup Mix and KNORR Pronto Napoli and bring to the boil. Simmer for 5 minutes. Add cream, basil and simmer for a further 5 minutes. Remove from heat and blend soup with a stick blender until smooth. Add more KNORR Pronto Napoli for a richer tomato flavour or stir through cooked pasta at the end for a heartier soup.